For the majority of this review, I have the mic connected directly to my mac with the gain set at approximately 40%, with a boost of +4dB in post to make the audio more listenable. The build quality of this mic feels bad man. The body is made out of a very cheap feeling plastic that feels very weak. The grill is metal and feels sturdy enough to withstand a few drops, but the mic is all around very light and feels cheaply made. On the top of the mic there is a Blue LED indicator light to indicate that you are connected, and this light will turn red if you mute the microphone with the large microphone mute button. The light unfortunately does not offer any sort of metering to inform you of a clipping signal. On the back you have a single USB port, and on the bottom you have the mount. The frequency response is listed as 50Hz - 18kHz. No graph was provided, so we're unable to analyze that. Listening to the audio samples it sounds as though there is somewhat of a boost in the low mids section with at times leads to a boxy sound, or almost muddy sound on the electric. There also seems to be a boost that slightly accentuates more nasally tones. The overall performance here was surprising. On the electric guitar the tone was a little bit muddy, but definitely usable for demos. The acoustic guitar sounded pretty nice with the low mids adding a good amount of body, while the highs remained clear without being overpowering. For singing this had a warmer tone to it, and all around it was fairly smooth sounding. For spoken word, it also sounded surprisingly good for the price. As previously mentioned, it can sound a little bit nasally, or a little bit boxy, but all around for skype meetings, chatting with friends, or recording demos at home, I think it was really nice. To summarize my thoughts of this microphone in a single word: Surprised. This microphone exceeded all my expectations. A lot of budget usb microphones fail significantly in at least one of these tests, but this mic provided usable audio in every scenario. Is it the best microphone on the market, no. Did they sacrifice a lot on the build quality, yes. But it does seem like they sacrificed the build quality to allow more money to be placed into the audio quality which turned out great. If you're looking for a budget usb condenser microphone, and you're considering this mic, I would suggest it, but make sure to pick up a pop filter, make sure to take care of it, and if you have a few bucks left over, I'd suggest picking up a boom arm. Today we're comparing three of the most popular microphones for podcasting, radio broadcasting, and let's play gamers; the Electro Voice RE320, RE20, and RE27 N/D. The build quality of all of these microphones is nearly identical. They have the same chassis for the most part, with minor cosmetic differences. There are vents that run the length of the body that allow for the variable D technology to decrease the proximity effect. They all have a steel body and a good amount of weight to them. The RE320 & RE20 have a single high pass (low cut) switch, while the RE27 N/D has 3 switches, (2) high pass switches, and (1) high cut switch. The frequency response of these mics vary pretty significantly. The RE320 has a minor bass boost of 1dB between 150 & 250 Hz, and then has a relatively flat mids section. 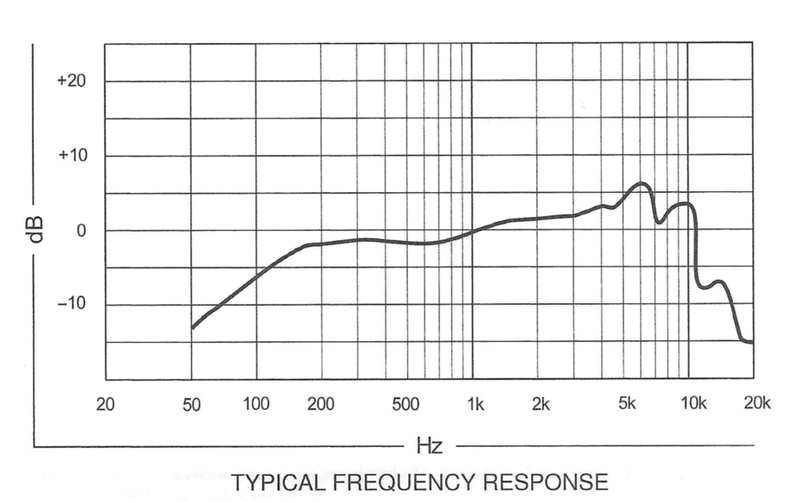 There is a significant 5dB presence and treble boost from 3.5kHz to 10kHz. It flattens between 13-15kHz and then cuts the remainder of the air. 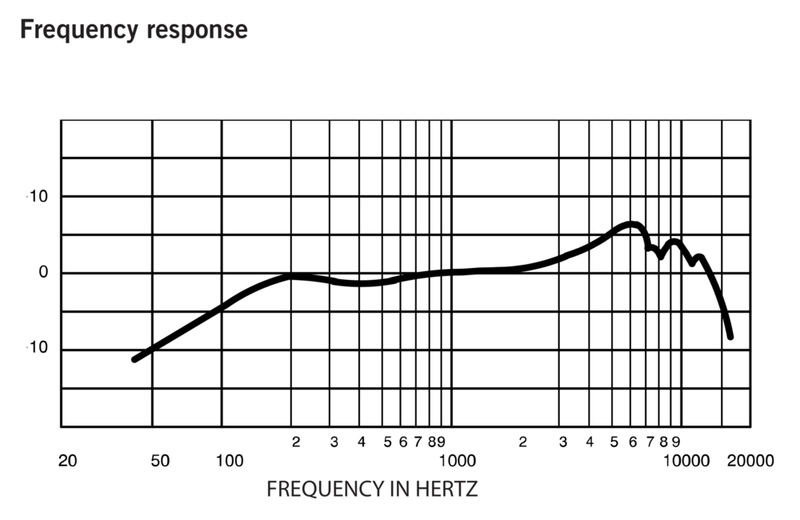 The RE20 has the flattest response, remaining consistant between 70Hz and 400Hz with multiple 1-2dB cuts between 400Hz and 5kHz which is followed by a 1-2dB boost from 5kHz - 12kHz at which point it gradually rolls off the air frequencies. The RE27 N/D has a flat bass and mid section with a significant boost beginning at 1kHz peaking at 5dB around 4kHz. And then begins to roll off at 8kHz gradually all the way up to 20kHz. When it comes to the overall performance of these microphones, they are very different. The RE320 is a very bright microphone with a significant presence and treble boost. This allows your voice to really stick out and pop, but to me it sounds top heavy. It did sound the best on the electric guitar and acoustic guitar out of all three mics. The RE20 had the most neutral sound with minor cuts and boosts throughout the frequency response. The minor cuts to the mids does make it sound on the verge of being scooped, but it's not terrible. Out of all of the mics in this comparison, it sounded the best for singing and spoken word. The RE27 N/D was the most jarring of the 3 microphones. It's natural boost was very unflattering on voice, so much so that I had to run it with the high cut enabled. Due to the boost starting at 1kHz, it tended to have a honkier tone. Additionally, the off axis coloration was the least flattering on this microphone. With all that analysis, the WINNER of this versus series is the Electro Voice RE20. I chose this microphone in lieu of it's flaws. Those being it has the quietest output of all the microphones in this comparison, and the minor cuts in the mids make it sound on the verge of sounding scooped. The main reason I did pick it though is due to the it having the flattest and most neutral tone. However, this is a tone that I personally prefer for spoken word and singing, so this may not be for everyone. Today I have finally completed the Electro Voice expansion of Pokemon: Mic Edition. We're looking at the last mic in their RE-series of mics, which just so happens to be the most expensive of the three; the RE27 N/D. For this review, I have the mic connected directly to the Focusrite Scarlett 2i2 2nd gen, with the gain set at 12:30. I have done no post processing on the audio, it is all raw, but the audio was slightly boosted in final cut pro X to simply make the audio easier to listen to. The build quality of this mic is on par with all of EV's other mics that I've tested; excellent. It has a steel body and a nice metal mesh grill. Along the side there are vents that allow for the Variable D technology that helps keep the proximity effect in check. It weighs in at 1 pound 9 oz, so it is a pretty heavy microphone as well. Near the bottom of the mic it has 3 switches that cut portions of the frequency response. 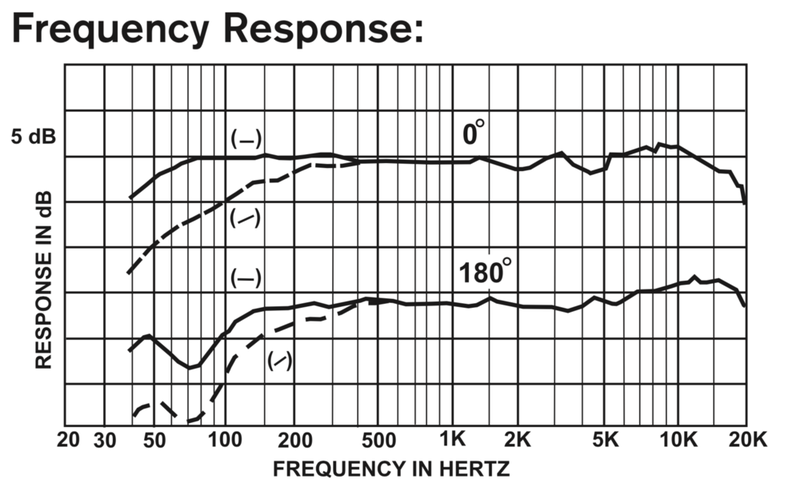 1st is a 6dB cut at 250Hz, 2nd is a 12dB cut at 1000Hz, and 3rd is a 3dB cut of the presence and treble boost. Lastly there is an XLR port on the back of the microphone. The frequency response is listed as 45Hz - 20kHz. 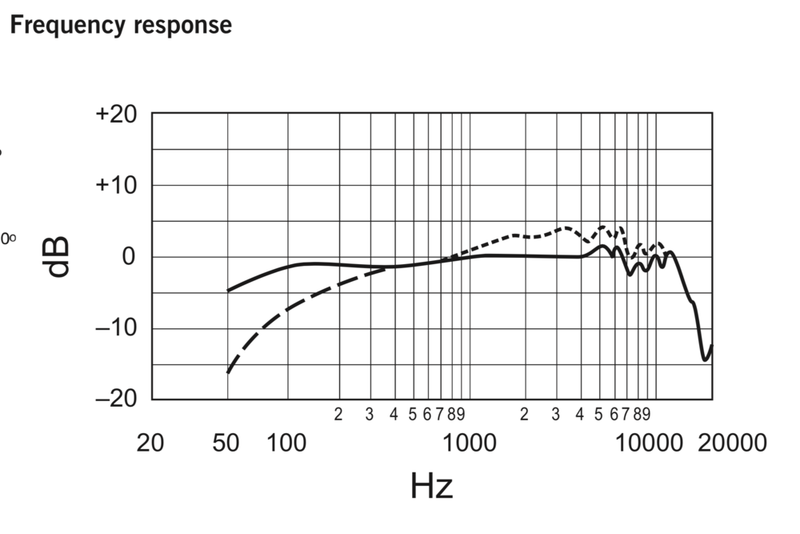 In the neutral mode this microphone has a relatively flat frequency response from 1khz and below, but above that there is a drastic boost that peaks at +7dB above the mids. There are two peaks at 4kHz and 6kHz and then it rolls off the remainder of the treble and air after that. I found the only really usable setting for spoken word was to enable the high cut, and leave the other switches alone. The overall performance of this mic was a bit of a shock initially. When I pulled it out of the box a month ago and plugged it in, I almost sent it right back. With the neutral settings it is very harsh, shrill, and forward in the higher frequency range. Once I enabled the high cut though the tone become MUCH better and actually enjoyable to listen to. It also does a great job at off axis rejection and rear rejection, but it should be noted that the off axis coloration is very honky, and terrible sounding. For electric guitar, acoustic guitar, and singing I did not enjoy this microphone much at all. It simply is not a tone that I would look to use in those applications. For spoke word however, I found it rather enjoyable when you have the high cut enabled and get relatively close to the microphone. If you're looking for a bright & smooth microphone for podcasting and radio broadcasting, I think this will be a great option, but just make sure to cut those highs and use proper microphone technique. Today we're looking at another microphone from AKG's 20 series microphones, the AKG P220. The build quality of this mic feels awesome. It has an all metal body that feels very robust in your hand, coming in at over 1 pound. The grill also feels very sturdy and does not bend when squeezed with fingers. On the front you have two switches, a high pass filter, which rolls off frequencies at 300Hz at 12dB/octave, and a -20dB pad. The frequency response is listed as 20Hz - 20kHz. Unlike most microphones, this does not have a natural roll off in the low frequencies. Instead it has a minor dip around 150 hz and a boost from 150 down to 500Hz peaking at +4dB, which is then rolled off at 50Hz and down. The mids are very flat from 100Hz - 4.5kHz at which point a gradual boost begins which ends up peaking at +4dB at ~11kHz, and then rolls off up to 20kHz. The overall performance of this mic left me a bit underwhelmed. I did really like this microphone on the acoustic guitar as it had a nice full body and then the treble and air boost added some nice percussiveness to the tone. However, on electric guitar, spoken word, and singing, I did not enjoy the mic, and the dislike all stems from the treble and air boost. The boost led to the treble frequencies sounding a bit overpower on the electric guitar, while it left the spoken word and singing sounding top heavy, a bit brittle, breathy, and sibilant. I was not terribly impressed with this microphones performance. The treble & air boost on this thing added some very unfavorable characteristics on the vocals and electric guitar. Although I did personally like this mic on the acoustic guitar, i think the tone is very specific and not very versatile. With all this being said, I don't think I can really recommend the microphone. Today we're looking at the Sennheiser MK4 XLR Condenser Microphone, which is a great way to get into the Sennheiser / Neumann condenser mic ecosystem. For this review, I have the mic connected directly to the Focusrite Scarlett 2i2 2nd gen, with the gain set at 11:00. I have done no post processing on the audio, it is all raw, but the audio was slightly boosted in final cut pro X to simply make the audio easier to listen to. The build quality of this mic is good. I'm legitimately running out of things to say about all these mics. Most of them have an all metal body and a metal grill. This mic is no different. It has no switches for a padding or high pass / low pass, but on the bottom you'll find an XLR port. The frequency response is listed as 20Hz - 20kHz. This has a minor roll off beginning at 150Hz, and a much more drastic roll off beginning at 50Hz. The low-mids are flat until you hit 1kHz and it boosts 1dB with the peak at 1.5kHz which then returns to flat at 2.5kHz where it begins it's presence/treble/air boost beginning at 2.75kHz and ranging all the way up to 10kHz, where it gradually rolls off the air, where it is neutral at ~14kHz. The overall performance of this mic is great for the price. On electric guitar, this mic sounds a bit dull because it's not over boosted anywhere, but I think fo that as a good thing when recording. On acoustic it sounded stellar with a good body and plenty of shimmer on the top. For singing it had a nice and airy tone, and on spoken word it had plenty of clarity that could be offset beautifully while utilizing the proximity effect. Additionally the off axis coloration around 90-degrees is not unpleasant like many cheaper condensers, which will yield a much better sounding recording if you're in a reverberant room. I personally don't like the look of it. This seems to be a great all purpose microphone as it worked well on everything I tested it on. I think where it really shines is on voice over. The thing I have loved about the Neumann condensers I have tested is the proximity effect. This microphone offers that buttery smooth low end that helps off set the boosts to the presence/treble/air, and it sounds stellar for that considering the price. Today we're comparing three of the most popular microphones of all time, the Shure SM57, SM58, and SM7b. The build quality of all of these microphones is just insane. The SM57 and SM58 are legendary in this department as there are videos of them being run over by tour buses and still working. These two mics are a handheld design with all metal bodies. The SM57 has a plastic casing around the capsule and grills, but there's little to no pop filter. The SM58, has a ball pop filter which does offer a tiny bit of wind protection. The SM7b is significantly larger, and I believe to be more of a studio microphone. It also has an all metal construction with an preinstalled mounting system, and an exterior pop filter design. It also has a high pass filter, and a presence boost switch available. The frequency response of these mics vary pretty significantly. The SM57 is a brighter microphone with a roll off beginning at 200Hz, and a minor cut from 250-600Hz. At 2khz we see a gradual rise that peaks around 6kHz at +7dB. It then rolls off after that. The SM58 rolls off at around 120Hz, and a VERY minor cut from 300Hz to 1kHz followed by a gradual presence boost from 1kHz peaking at 5khz at +5dB. It then gradually rolls off again with a drastic cut around 7.5kHz. The SM7b has a more recessed low-end, with a less drastic roll off and a minor cut from 1kHz and below. From 1kHz to 4kHz it is flat at which point there are 1dB peaks and valeys up through 12-13kHz. As far as the overall performance of these microphones, they all have their benefit. The SM57 sounds awesome on instruments because of the additional boost to the treble which seems to breathe life into the recordings. The SM58 is great for live vocals because the presence boost cuts through the mix, but it doesn't have an over boosted treble frequency so it doesn't sound as harsh as the SM57. Then the SM7b just sounds awesome on spoken word and singing because it has a flatter and more neutral tone, with no exaggerated boosts, which makes it much warmer, and pleasant to listen to. With all that being said the WINNER of this versus series is the Shure SM7b. I chose this because this series requires I pick one, and I mainly use microphones for talking or singing. Because of that I prefer the flatter tone of the SM7b, especially the fact that it yields very few issues with sibilance or an overly boomy proximity effect. Today we're looking at the Beyerdynamic TG V50, which I was super excited to test out because I loved the TG V70D so much. For this review, I have the mic connected directly to the Focusrite Scarlett 2i2 2nd gen, with the gain set at 2:00. I have done no post processing on the audio, it is all raw, but the audio was slightly boosted in final cut pro X to simply make the audio easier to listen to. The build quality of this mic is the same as almost all handheld dynamic microphones. It has an all metal construction with no features around the body and it has an XLR port on the bottom. There's really nothing more to say about it. The frequency response is listed as 50Hz - 17kHz. This has a fairly neutral mids, but it boost rather significantly up until 5kHz, followed by a minor cut, and then an even larger boost up until 9kHz. The overall performance of this mic is pretty good. For singing, I think this thing really shined. It had great clarity and a nice presence boost to help cut through a mix. For spoken word I thought it worked pretty well but think the plosive and sibilance issue can be an issue. On electric and acoustic guitar, it was a pretty usable tone...it was very aggressive and non-muddy, which could be pretty rad, but it wouldn't be my first choice for that use. If you're looking for a live singing microphone, I think it's a great option there. The lack in proximity effect means the singer will not need to have great microphone technique to avoid boominess. However, the plosives will need to be remedied with a windscreen/pop filter, and you'll need to leave it on the stand. For electric and acoustic guitar, it would be fine in a bind, but it would not be my first choice, so I wouldn't buy it just for that. Today we look at an Amateur Radio microphone and see if it will work for any other applications. The microphone, is the Heil PR-781. For this review, I have the mic connected directly to the Focusrite Scarlett 2i2 2nd gen, with the gain set at ~1:30 - 2:00. I have done no post processing on the audio, it is all raw, but the audio was slightly boosted in final cut pro X to simply make the audio easier to listen to. The build quality of this mic is excellent. It is an all metal construction with a metal grill. It feels like it can take a beating or two, so I'd venture to say that this will last years in your Ham Shack. 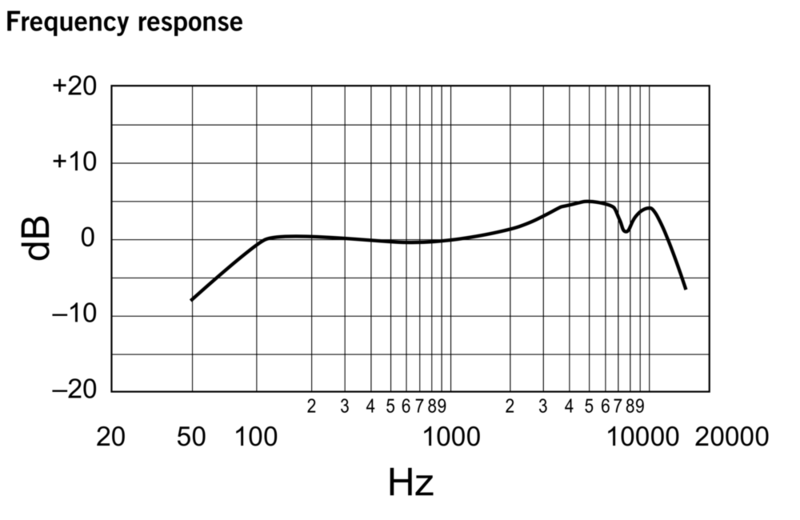 The frequency response is listed as 50Hz - 16kHz, but no frequency response graph was provided. From listening to the mic it's abundantly clear that there is a drastic treble boost which gives this thing a large amount of clarity. It also over powers any low end of this microphone making it sounds harsh at times. The overall performance of this mic is hard to judge. On everything I threw at this mic, I just kept thinking "there's too much clarity". It was so bright and clear that it began to sound unnatural to my ears at times, and it also became shrill at other times. Being that I am not a Ham Radio operator, and know little of the topic, I cannot speak to the microphone requirements, but I believe that's what this microphone was actually designed for. I cannot recommend this microphone for the majority of applications due to the hyper-bright tone of it. I don't think it accomplished anything well on the electric guitar, acoustic guitar, singing vocals, or on HD vocals. I imagine the over bright tone is meant to assist in transmitting higher frequencies over Ham Radios. Being that digital audio captures all that sound without having to overcome the inherent shorter travel of higher frequencies, it just does not seem to translate well. Today we're looking at Shure's update to the classic Elvis microphone, the Shure Super 55 Deluxe Vocal Microphone. For this review, I have the mic connected directly to the Focusrite Scarlett 2i2 2nd gen, with the gain set at ~3:00. I have done no post processing on the audio, it is all raw, but the audio was slightly boosted in final cut pro X to simply make the audio easier to listen to. The build quality of this mic is superb. It has an all metal construction that feels like it can really take the abuses of stage use. There is a small plastic badge with the branding for the mic, and the foam windscreen is bright blue. The sides and rear of the microphone have no additional features, and on the bottom you'll find a 5/8" threading for a standard mic stand, and an XLR port. The frequency response is listed as 60Hz - 17kHz. There is a cut that begins at 1kHz and ranges down to 150Hz, and then drastically drops off. At 1kHz a boost begins which remains consistent to about 2kHz where we see a gradual increase with a significant boost at 4.5kHz, peaking at 6kHz. We see a dip immediately after this followed by a peak from 8-10kHz, at which point the air is cut. The polar pattern of this mic is super cardioid. At 90-degrees the level is almost non-existent, but what is there is mainly high mids and treble. At 180-degrees, the signal is slightly stronger, and is mainly focused in the low end. The overall performance of this mic is exactly what you should expect out of a live vocal microphone. The cut to the low-end helps tame the proximity effect, handling noise, and plosives. The presence boost helps your voice cut through and sit on top of the mix. And the super-cardioid polar pattern helps limit bleed from instruments on stage, as well as limiting feed from the PA. I was not the biggest fan of this microphone for instruments or spoken word. The tone on instruments just was not too flattering, although in a bind, I think it is passable for that application. On spoken word, I think you're better off with a flatter microphone since you'll likely be recording in a studio and have better control over your environment and ambient noise. Live singing is where I think this microphone will really shine. It will allow the sound engineer to capture your voice as clearly as possible, and set it in front of the mix, even if you don't have good microphone technique. If you're looking for a live singing microphone with an aesthetic that screams "I'm Elvis" or "I front a Rockabilly band", then I do not think you can go wrong with this microphone. If you have any additional questions about this microphone, leave them on the youtube video, and I will try to reply ASAP. Today we're looking at the brand new Dynamic USB Streaming Microphone from Razer, the Seiren Elite. For the majority of this review, I was connected to my Mac, which did not have gain controls on my computer, but the gain on the microphone was set to 100%. On the windows machine, I set the computer gain to 77%, and the microphones gain to around 25%. The audio was then boosted in post, which is notated in the lower third on the video. The build quality of this microphone is good for the most part. It has a metal body coated in a rubbery paint, it has a metal grill, and the desktop stand is metal with a good amount of weight and a foam bottom to keep it from sliding around your desk. On the downside, the dials are a bit wobbly, and they have no markings to assist in determining your gain setting or headphone volume. The frequency response is listed as 20Hz - 20kHz. They do not provide a graph, but honestly, I don't think the graph would even help. The limiter is set so extreme that it sounds as though the audio is being overly compressed, which would affect the frequency response anyways. The polar pattern of this mic is standard cardioid, and did a surprisingly good job at side and rear rejection which is exactly what you want out of a microphone that will be used in a noisy environment like a gaming room. The overall performance of this device was a huge let down. First off, the noise floor on this thing was excessive, making all the audio sound dirty. The limiter also sounded as though the threshold was set too low, meaning it was activated too frequently, causing the recording to sound overly compressed. This mic also did not do a good job at rejecting shocks, so if you bump your desk at all, this mic picks it up, which is the last thing you'd want in a gaming microphone. Additionally, my unit had so much hiss in the headphone amp that it was almost deafening (I will be replacing this mic to determine if the headphone amp in another device is better). I do not recommend this microphone at all. On paper, it's a nearly perfect streaming microphone, but in practice or execution it did not meet any expectations. So although I do not think you should buy this, I will be keeping my eye on Razer for the next iteration of this microphone to see if they improve this. If Razer is reading this, I will give some suggestions. Please add software functions to this device to allow people to adjust the limiter's settings or turn it off. Please allow users to shut off zero latency monitoring, or at least mix between computer playback and 0 latency monitoring. Please add some kind of internal shockmount for the capsule to assist in shock absorption. Please put in a better preamp so the noise floor is not so loud in this device. However, I think you're on the right track here. I can't wait for the next iteration. The clearing of all the cheap microphones off of my shelves continues, and today I'm reviewing the Cyber Acoustics CVL-2001. During the majority of this review the mic is connected directly to my mac with the gain set at 65%. I did boost the audio slightly during portions of the test to make it listenable. During other portions of the test, I connected the mic to a Joby Gorillapod to get the mic closer to my mouth. The build quality of this mic feels pretty terrible. It has a cheap plastic body that feels very flimsy. It has a metal grill that I dented by barely squeezing it, demonstrating how bad the metal is. On the bottom of the mic, you will find a 1/4" threading (standard camera threading) as opposed to 3/8" or 5/8" which is standard for microphones. On the rear of the mic you have the USB port, and on the top of the mic you have an LED indicator light to let you know if you're getting power. The frequency response is listed as 40Hz - 18kHz, and it sounds about as good as you would expect out of a $40 usb microphone. I did not do any close micing of instruments due to the poorly designed mounting options, so I cannot speak to that. I can however speak to the awful proximity effect of this thing. If you're speaking between 1-3 inches of this mic, it becomes terribly muddy and unintelligible. The polar pattern of this mic is standard cardioid. The off axis coloration is very drastic, and it did not do a good job at off-axis or rear rejection. This is very important considering it is mounted on a desk mount that offers no shock absorption from the desk. The overall performance of this mic was awful. The reason I say that is because of the noise floor which was terribly loud, causing a constant hiss in the background. Additionally, there is a grounding/shielding issue that adds a hum into the mix. So not only do you have a hiss, but you have a electronic hum to also destroy your recording. These two factors really ruin the microphone, and should make you look to other options. DO NOT BUY THIS MICROPHONE! 15 years ago you may have to suffer through the high noise floor and hum, but with how competitive the USB mic market is, you do not need to settle for that. If you're on a super tight budget you can go with the Neewer NW3u, which cost me about $15 and I think goes for $20 now, which offers equal tone, and much better noise floor performance with no electronic hum. The Marantz PodPack1 is another great option which sounds better, has no noise floor/hum, and comes with a boom arm, all for $10 more. So bottom line is, I see almost no reason why someone should buy this microphone. Today we're looking at a handheld dynamic microphone from Sennheiser, the E935. For this review, I have the mic connected directly to the Focusrite Scarlett 2i2 2nd gen, with the gain set at 3:00. I have done no post processing on the audio, it is all raw, but the audio was slightly boosted in final cut pro X to simply make the audio easier to listen to. The build quality of this mic feels like it was made for the stage. It has a very substantial feel in the hand, with an all metal body, a very sturdy metal mesh grill, and a good amount of weight to it. There are no bells or whistles on this microphone either. It is a just a microphone with an XLR port so you don't screw anything up while you're performing on stage. The frequency response is listed as 40Hz - 18kHz. The frequency response on this mic begins to gradually roll off the bass at around 150Hz with a minor .5dB cut beginning at around 500Hz. From 500 Hz up to 1kHz, we see a gradual boost . and then we remain flat up to 2.5kHz at which point we begin another boost of ~ 3.5dB which remains relatively flat from 4kHz - 10kHz. There is a minor peak at 11kHz, and then a roll off that decreases steadily. The polar pattern of this mic is standard cardioid. The off axis and rear coloration are not terribly drastic which is a benefit. The main thing I noticed about this mic is how great it did at off-axis rejection. When playing an acoustic guitar a few inches away while singing, you could definitely hear the acoustic, but it was not distracting from the voice at all. The overall performance of this mic is excellent for stage use. On the electric guitar, you get some very bright and aggressive tones, as well as a nice bass roll off which cleans up the mix, and makes room for the bass to do it's job. On the acoustic you get a nice full body with plenty of high end attack which sounded very nice. Then on voice for singing the presence and treble boost allow this mic to cut through the mix, and the bass roll off helps tame any proximity effect, handling noise, or plosives. Unfortunately, the presence boost does introduce some minor sibilance issues. For stage use I think this microphone performed excellent, especially for a cardioid microphone. This mics ability to reject plosives (better than most dynamics), avoid handling noise, and tame proximity effect makes this a great mic for venues who cater to artists who do not necessarily have the best microphone technique. If you're a podcaster or let's player who is also concerned with background noise and not afraid of a mic being in your face, I think this thing will do a fine job for you. No matter what use case you are buying this mic though, if you are using this on voice, make sure to pay attention to the sibilance as it is somewhat sensitive in that frequency range and you may need to eq some of that out of your recording. Today I'm reviewing another microphone from IK Multimedia, iRig Mic Studio. For this review, I have the mic connected directly to my 2017 iMac with the input gain set at 10:00. I have done no post processing on the audio, it is all raw, but the audio was slightly boosted in final cut pro X to simply make the audio easier to listen to. The build quality of this microphone doesn't give me anything to complain about. It has a metal body construction and a metal grill that feels sturdy. It is also a bit on the light side. These are all good attributes for a travel microphone. On the front you'll find a gain dial to adjust the microphone's gain, a multi-color LED light for metering, and a headphone volume control. Lastly, on the back of the microphone you'll find a 3.5mm headphone jack, which does not offer latency free monitoring. The frequency response is listed as 20Hz - 20kHz. They do not have any frequency response published, but while listening to the audio samples it sounds as though this mic has a significant treble boost which gives it too much clarity, to the point that it starts to sound unnatural. Additionally, this mic has a rather prominent proximity effect, so if you mic any source closely, you will get a slightly scooped mid tone. The polar pattern of this mic is cardioid. It didn't do a good job at background noise rejection. There was a slight volume decrease as you move around the microphone, but the ambient noise, keyboard noise, guitar noise will be apparent in your recordings. The overall performance of this mic is fine, but I'm becoming pickier, and more curmudgeonly. First, the preamp is relatively quiet all the way up to 100%, the main noise introduced was ambient noise. The tone of this mic is overly bright, and this adds too-much clarity in my opinion which leads it to sound somewhat unnatural. As I already mentioned, if you mix this frequency response with the proximity effect, you will likely end up with a slightly scooped mid tone. Also when I compared this mics samples against flatter mics like the NT1, it had a minimal nasal tone. This microphone is perfectly mediocre. Nothing really sticks out to me as a reason to buy it except for the almost universal compatibility. Other than that, I do not think that I can recommend it. This is mainly because the overly boosted high end leads to a unnatural tone which I am not a fan of. I am also turned off by the lack of zero latency monitoring. Today we're looking at a handheld dynamic microphone from Beyerdynamic, the TG-V70D. The build quality of this mic is basic but robust. It has a standard tapered metal handle and a sturdy feeling metal mesh grill, which has a good amount of foam on the inside to attempt to reject some plosives. The frequency response is listed as 25Hz - 18kHz. The frequency response on this mic begins to gradually roll off the bass at around 250Hz, and then starts a drastic roll off around 150Hz. The low mids are flat, and then in the high mids we start to see a boost beginning at around 1.5kHz. This boost ends up peaking betwen 7-8kHz, and then begins a consistent roll off from 8 -18kHz. The polar pattern of this mic is hyper-cardioid. The 90-degree rejection on this mic is great. You have almost no low end, and the volume significantly decreases. When you get around to 180-degrees some low end returns, but the higher frequencies seem to disappear. In the tests I conducted, it did an excellent job at rejecting keyboard noise and acoustic guitar noise when they are in the null spots of the polar pattern. The overall performance of this mic is great. On electric guitar you're getting a tight low end without any muddiness, on the acoustic you get a nice body with a bit of shimmer on the high end, and on vocals you get amazing clarity with full low end which you can adjust by utilizing the proximity effect. I think this has become my new favorite handheld dynamic microphones. This thing cut right through mix on the vocals due to the presence and treble boost, and it also picked up minimal ambient noise, even when I was playing the acoustic guitar about 1 foot off-axis. The proximity effect also allows you to offset some of the detail, or beef up your voice if you have a thin voice. If you do not have good microphone technique, you will need to be careful on this thing because the proximity effect on this mic can be dangerous.